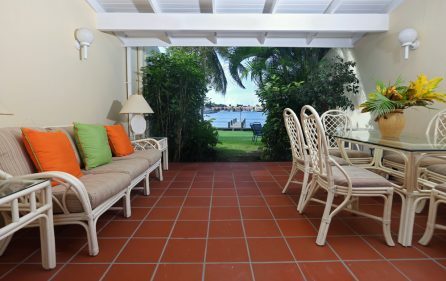 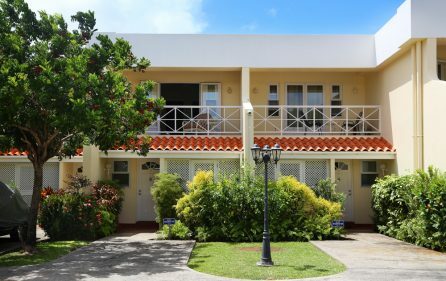 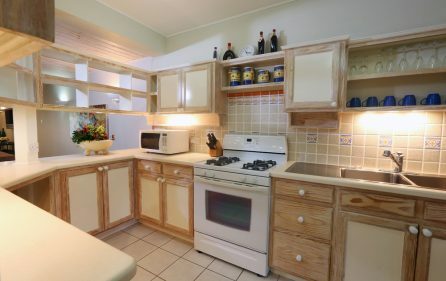 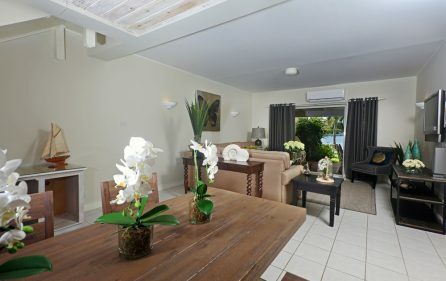 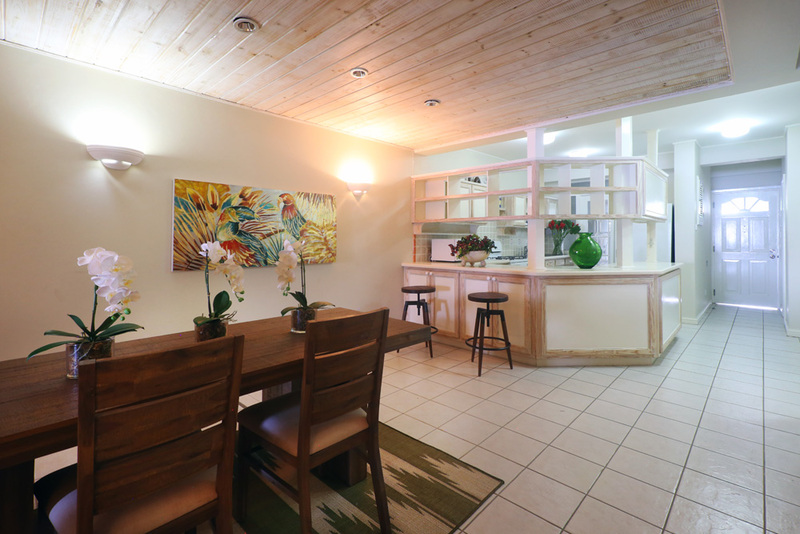 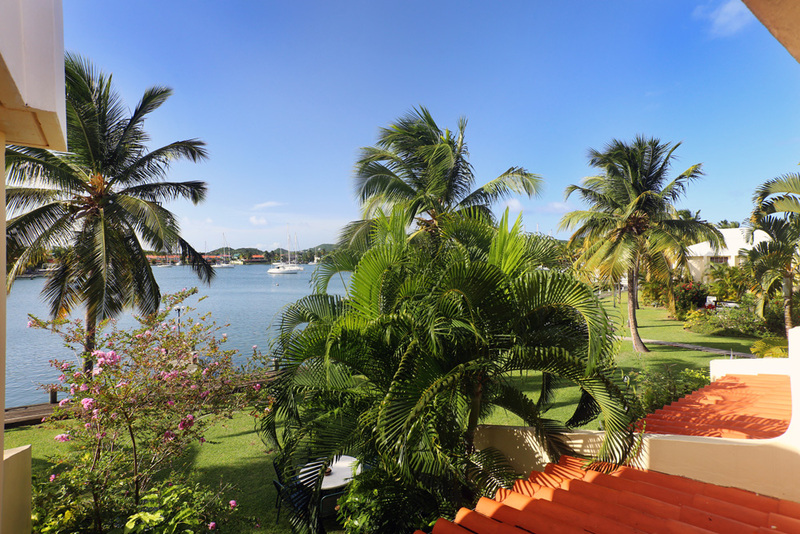 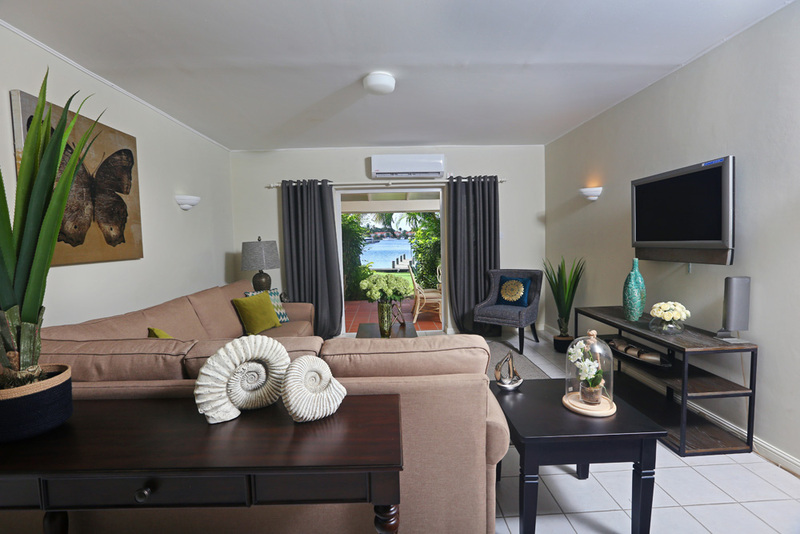 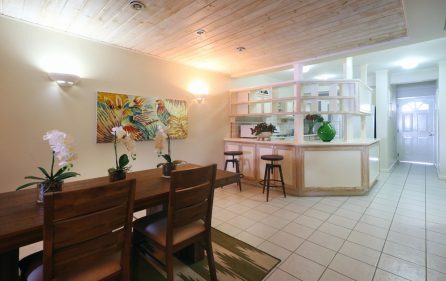 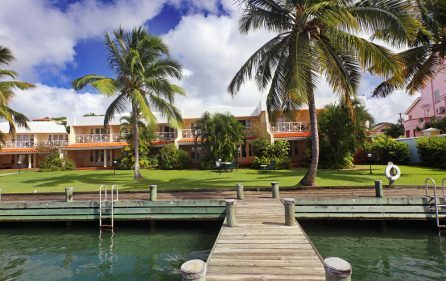 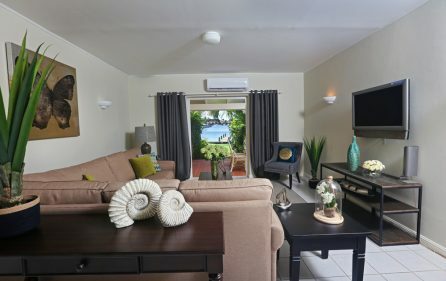 Rodney Bay is highly in demand for its close proximity to white sand beaches, marina, malls, restaurants and bars and that just names a few of the many conveniences. 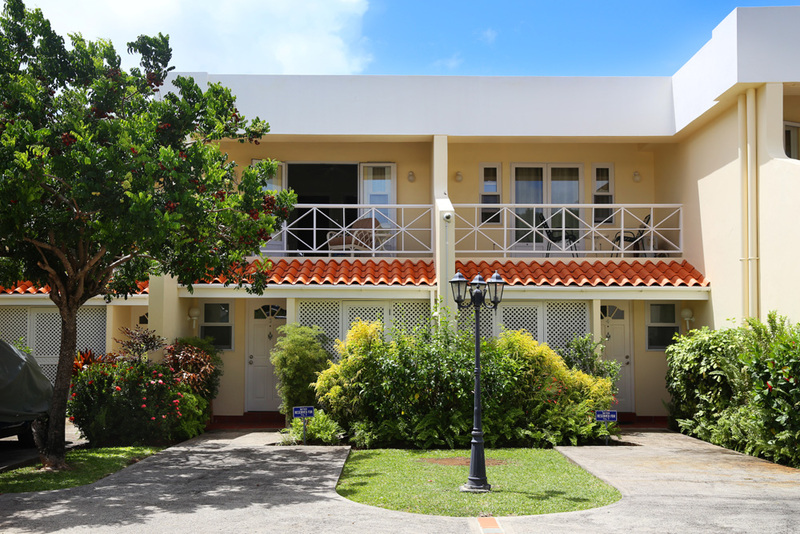 Middle to high income housing dominates the area. 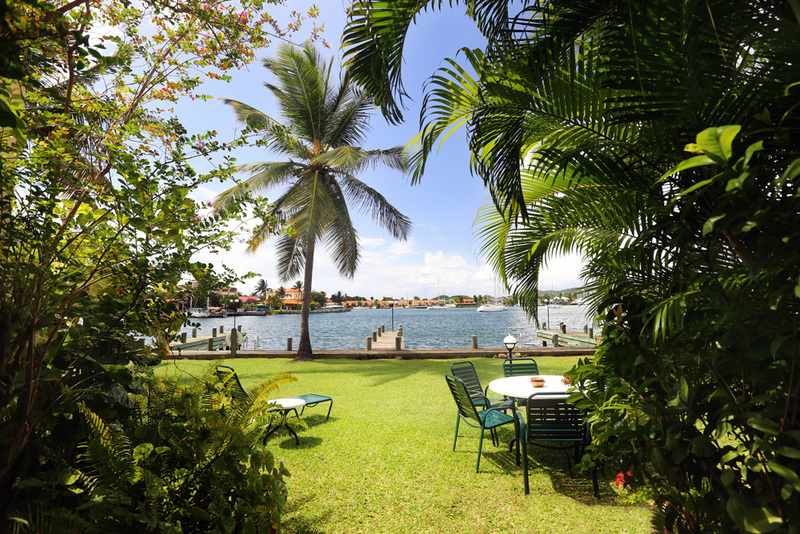 The unit is set within a gated development built along the waterfront of the marina comprising in total of eighteen two bed units featuring dock spaces and a communal pool with gardens and two separate access gates for each block of units. 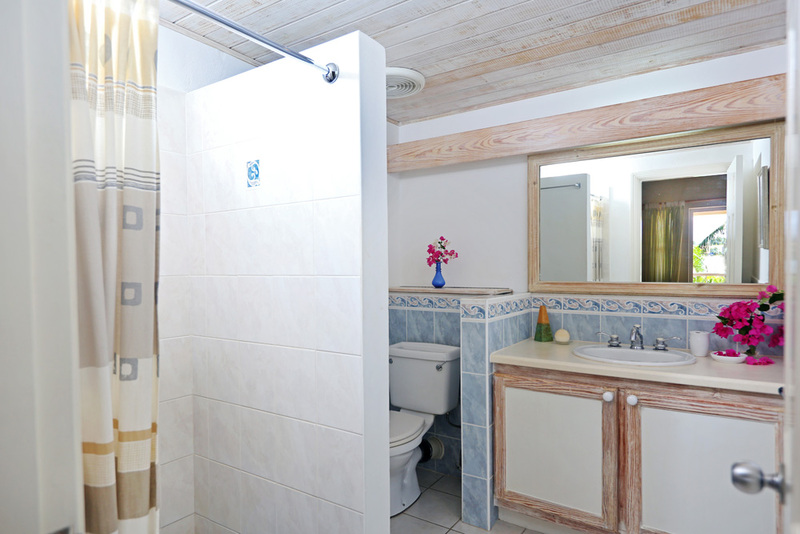 The ground floor comprises of a half bathroom and laundry space. 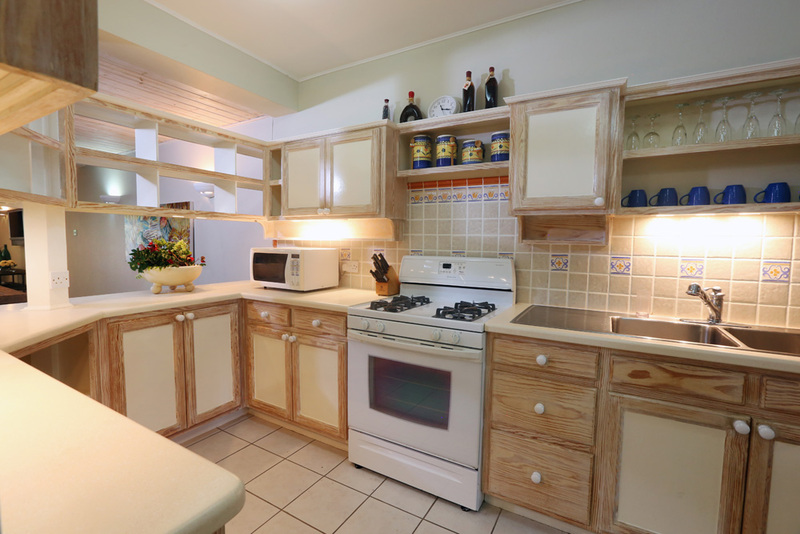 An open plan kitchen area with plenty built in cupboards both top and ground as well as above the counter bar top. Beyond is the dining and living space which is decorated and fitted to encompass the patio access and water views. 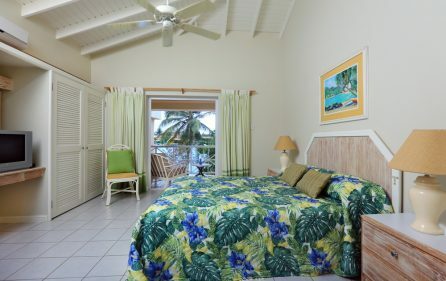 Upstairs the guest suite is across from the master at the opposite end. There is full bathroom access for this room via separate doorway in hall as well as a linen closet providing additional storage. 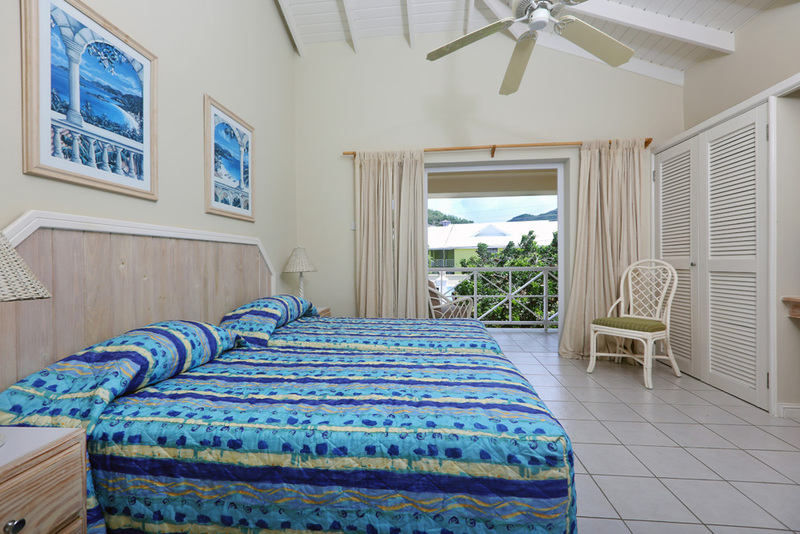 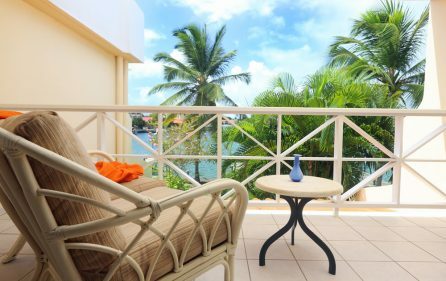 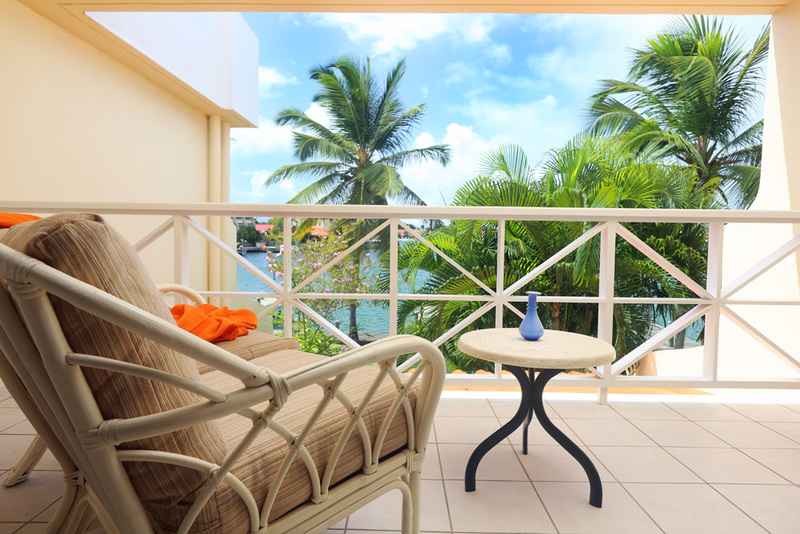 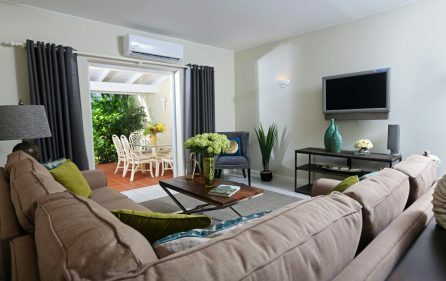 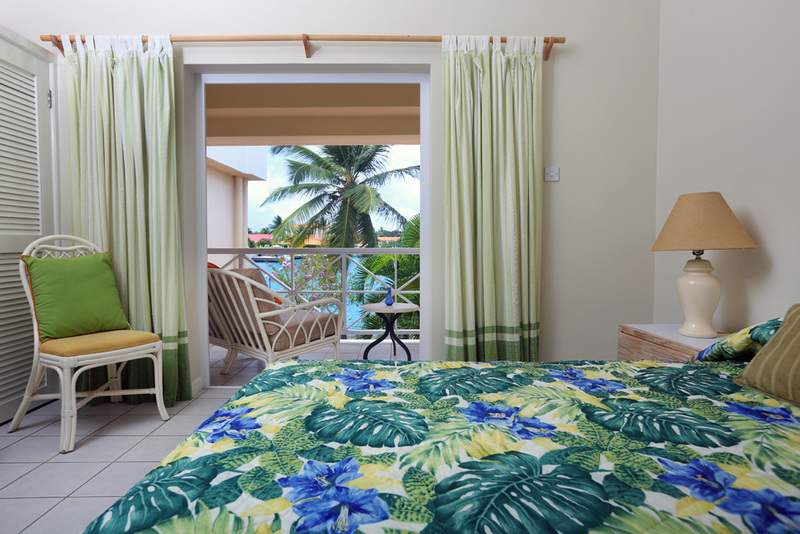 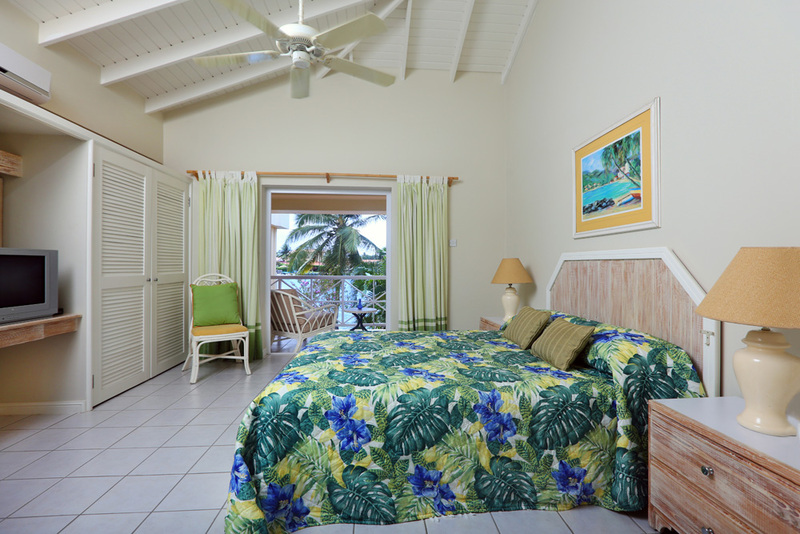 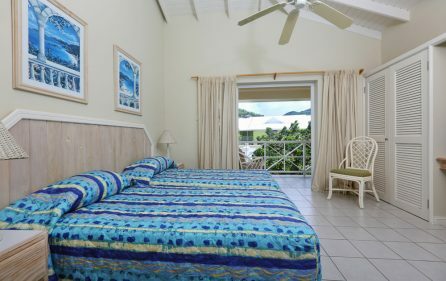 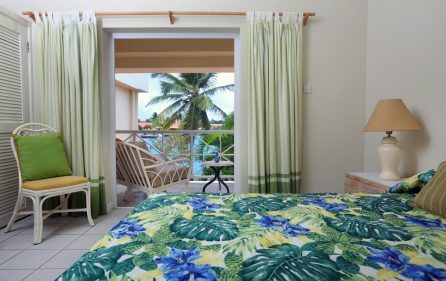 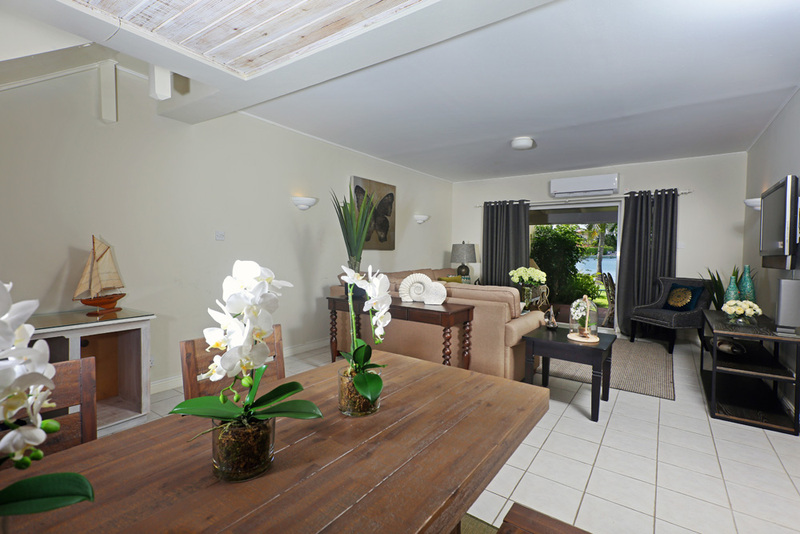 The master bedroom has a balcony overlooking the gardens and bay views and comes with an ensuite bathroom.